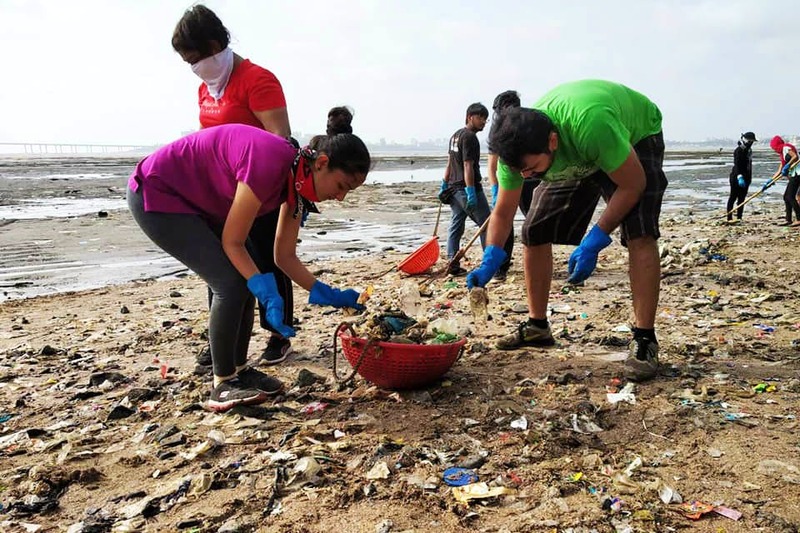 Following in the shoes of Afroz Shah, the Versova beach cleanup crusader is Chinu Kwatra whose efforts got recognised by Erik Solheim, the head of the United Nations Environment Programme on Sunday at Versova Beach, reported Mumbai Mirror. Having removed 251 tonnes of trash over 40 weeks from Dadar beach, Kwatra is beginning to get his recognition and the assistance that will eventually follow. Mumbai citizens have cumulatively decided to take matters into their own hand when it comes to maintaining hygiene and cleanliness on multiple beaches that have borne the brunt of human civilisation. With Afroz Shah at the helm of such an initiative, every other willing citizen has him to look up to, and take guidance from. Kwatra and his team of volunteers who join him from adjoining areas of Nerul, Matunga, and Prabhadevi have been at it for 40 weeks, drawing all their inspiration from Versova. The theme for World Environment Day 2018 is beating plastic pollution. And Indian is the official global host for the same. For this week leading up to the World Environment Day on June 5, Dadar cleanup drive will happen every day barring Wednesday and Thursday. For all other weeks, they meet every Sunday to contribute to the beach health. While the timing depends on the high tide, you can get in touch with Chinu Kwatra on +91 9769181218 for all the details, or sign up for it through their Facebook page. Enough of bickering, and complaining sitting at home. If your surroundings and the environment means anything to you, and every littered wrapper boils your blood, this is your chance to join in to make a difference.